As part of the Affordable Care Act that Congress passed in 2010, CMS was directed to implement a new quality assurance and performance improvement program (QAPI) by the end of 2013. This update further notes that a “national roll out” is set for summer 2012, where early prototypes of the tools and resources that CMS has been testing will be available. Take the time now to focus on enhancing your existing quality assurance programs so you are more prepared when the QAPI tools are released and firm dates for nationwide implementation are announced. Does your facility make use of an interdisciplinary team for existing quality improvement initiatives? What are you doing to give residents choices? Is your program documentation up to date? Do you have an open line of discussion where you continually receive feedback from your staff, residents and their family members? Does your facility have a culture of resident safety? What about having a culture that focuses on resident-centered rights and choices? What performance indicators are you using to monitor quality of care? Is the person in charge of investigations qualified for the job? Do you have a system in place to monitor feedback from residents and staff? What potential problem areas are unique to your facility that you should place a focus on systematically improving? How is information gathered to clarify problems and create improvements in trouble areas now? Are there areas that need improvement where no formal plan has been put in place to address them? This element is probably the most critical of them all – it’s all about systems, systems, systems. Does your facility have a systematic approach to identifying problems and if they could occur again? Are you using Root Cause Analysis? The Joint Commission developed a framework for conducting a RCA that can be found here for your reference. Do you have a comprehensive means of addressing all systems that may be involved in a problem area? It’s critical to start thinking about how your nursing home will have to make changes when QAPI is implemented. 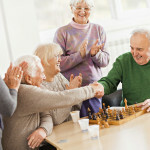 CMS has been making a continual push towards continually focusing on nursing home residents’ quality of care and freedom of choice in recent years, from the Nursing Home Quality Initiative (NHQI), roll out of the Quality Indicator Survey (QIS), and the updates and revisions to the MDS 3.0 earlier in 2012. Ensuring your staff is on board and that your systems are up to date are key to starting this process. What is your facility doing to prepare for QAPI? Let us know by leaving a comment or feel free to shoot us an email to keep your comment anonymous.